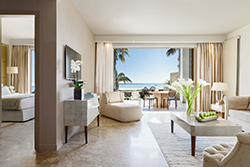 Hotels & Resorts, first-class hotels, luxury resorts, leading resorts, spa hotels and city hotels in Greece offer high quality services, comparable to leading luxury hotels worldwide. A popular tourist destination since antiquity, Greece is known for its fascinating landscape, history, culture, gastronomy and warm, unbeatable hospitality. 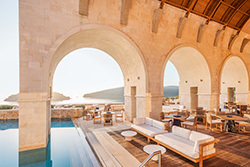 Stretching from the pristine beaches of the Aegean and Ionian Islands to real gems tucked away in the mainland, a broad network of Hotels and Resorts, first-class hotels, luxury resorts, leading resorts, spa hotels and city hotels in Greece offer high quality services comparable to leading luxury establishments worldwide. Spanning the nation - Athens, Thessaloniki, Crete, Corfu, Rhodes, Chalkidiki, the Cyclades, Kos, Mykonos, Santorini, the Dodecanese, Peloponnese and the Ionian Islands - an exceptional collection of hotels and resorts welcome guests, with unparalleled commitment to service, finest attention to detail, world class cuisine and personal touches that create a singular experience unique to each destination. Distinguished for their cosmopolitan flair, impeccable service and superior levels of comfort, hotels and resorts, first-class hotels, luxury resorts, leading resorts, spa hotels and city hotels across Greece offer locally inspired experiences for couples and the whole family. 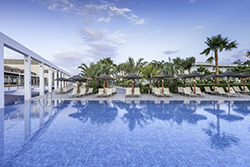 From mountain destinations to coastal locations with panoramic ocean views, most hotels and resorts, first-class hotels, luxury resorts, leading resorts and spa hotels across Greece - Athens, Thessaloniki, Crete, Corfu, Rhodes, Chalkidiki, the Cyclades, Kos, Mykonos, Santorini, the Dodecanese, Peloponnese and the Ionian Islands – offer premier amenities and unparalleled service. Imagine sipping cocktails by a private infinity pool with an unobstructed view of the sun setting into the Aegean Sea or flying by helicopter to an uninhabited island to scuba dive in virgin waters or savoring exotic tastes during an intimate picnic on a pristine beach; visualize a power meeting at a rustic paradise with the discreet support of state-of-the-art technology. Hotels and resorts in Greece offer an extraordinary experience – where an appointment becomes an escape and a visit becomes a tradition. Accommodation is varied but always luxurious, with a wide range of different types to suit guests, including spectacular sea views, private gyms, landscaped grounds, Olympic-size swimming pools and a variety of recreational experiences in both the winter and summer seasons spanning from snow skiing and hiking to water sports, including kayaking and swimming. Situated in diverse locations, Hotels and Resorts in Greece reflect guests’ individual wellness needs, offering them the opportunity to become one with themselves and their natural surroundings. 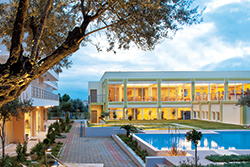 Located in perfect spa resort destinations surrounded by spectacular scenery and picturesque landscapes, a choice of spa retreats and specialist health resorts in Greece offer exciting activities and outdoor recreation such as golf, tennis, horseback riding, skiing and water sports. Teams of spa professional offer a complete and well-rounded approach to wellness, a full body experience targeting rejuvenation and relaxation. 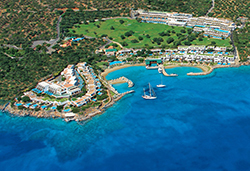 Each spa resort across Greece is a break from daily routine providing the ultimate in rest and rejuvenation. With versatile and dynamic facilities and amenities, spa resorts in Athens, Thessaloniki, Crete, Corfu, Rhodes, Chalkidiki, the Cyclades, Kos, Mykonos, Santorini, the Dodecanese, Peloponnese and the Ionian Islands feature various spa packages for superior pampering, encompassing a wide variety of indulgent delights designed to help guests look and feel their best.